A small company with big dreams, we carry our family’s shoe making traditions since 1927 and have one mission: keep the craft alive! Our ethically made shoes are handcrafted, made of the highest quality materials and have a supporting sole. This makes the shoes last for years and is what keeps the customers coming back for more. Here is your chance to get shoes that will last for years. 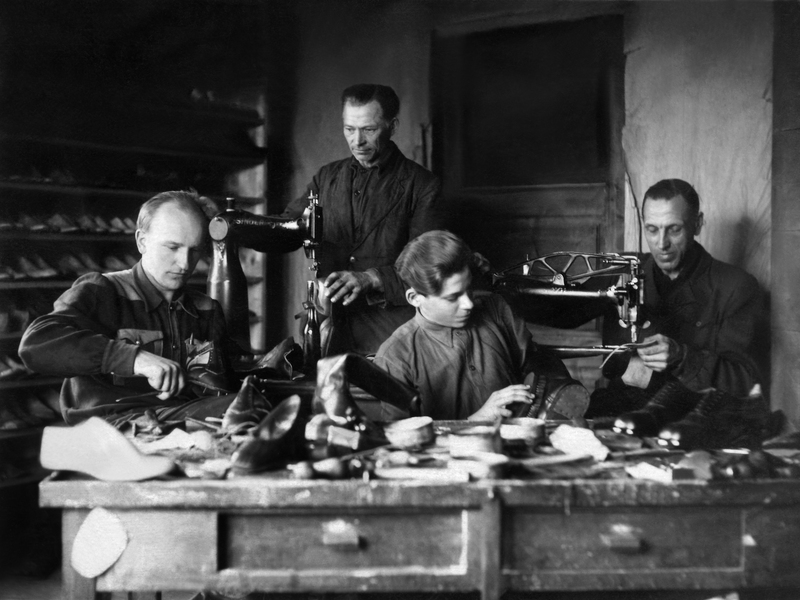 It all started in 1927, when grandpa Peeter became the best shoemaker in town. His attention to detail and superb craftsmanship earned him clients for life. When his work load increased, he hired apprentices to help him get his job done. He was the go-to shoemaker until the end of his life in the end of the 70s. In 1993, Peeter’s grandson – Rait – took his first steps in his grandpa’s shoes, when he blew life back in to his family’s shoe making traditions and formed the company Ritico OÜ. The first shoes that were made at the new factory (literally 3 sewing machines) were gymnastic slippers, with a brand name HipHop. These are sold until this day in all the Baltics, Finland and a few shops in Sweden. Slowly but surely the shoe selection widened, new technologies implemented and new craftsmen hired. Next to HipHop – the gymnastic shoe brand – another brand was created, called OmaKing (meaning: my shoe). OmaKing concentrated on indoor shoes, professional shoes and sandals. With the next 25 years the business grew and found a steady place in the system. Having a strong team of craftsmen, technicians and designers is what lead the success to our new brand in 2017 – TOKU. Though the plan was to initially just make one new and contemporary model for OmaKing, we soon discovered that a new brand has to be born with a wider selection of transparent, healthy, well-designed, ethically made shoes. Looking back to the company’s life cycle, granpa Peeter’s life work and comparing the past to the present – the chore values have not changed a bit! Shortly said, we create comfortable and honest products, that please people. Comfortable, honest, pleasing – these are adjectives that we use regularly, when making decisions in any field, be it customer support, development stage, strategic planning. Is it comfortable? Is it honest? Is it pleasing? The factory, the warehouse and the office are all located in Kirumpää – a special place with a difficult name to pronounce. Kirumpää is a small village in Southern Estonia, in Võru County, with long traditions, unique culture and our own language. Our roots are strong and with our activities we liven the economy in Võrumaa and support local youth organizations and various other associations. 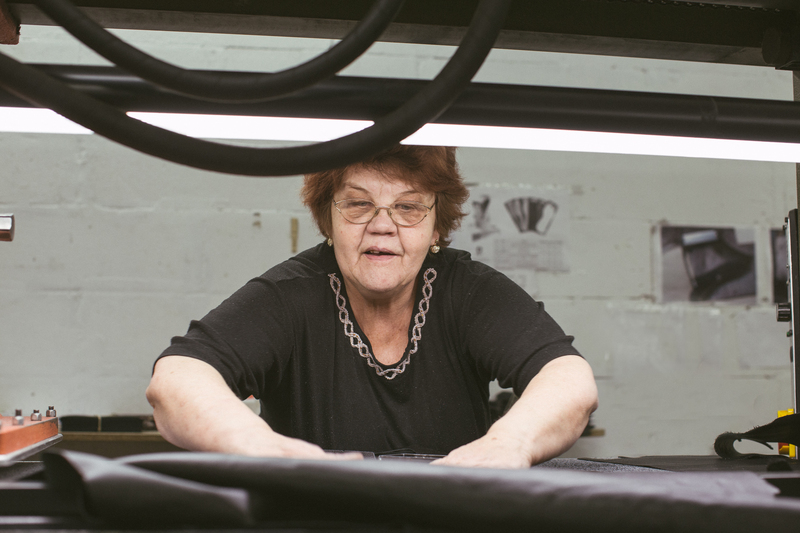 Over the years, our team at the factory has become like a big family. We carry Nordic values, that of sustainability, openness, innovation and equality. We value fair salaries and strive to create a safe working environment, both physically and mentally. Craftsmen, salesmen, team leaders – we are all encouraged to think outside the box to make the work more interesting and stimulating for the brain. To find new ways to succeed and to sustain. Speaking out and sharing ideas is one of the quickest ways to make a real difference in the system – this way everyone can contribute and feel ownership of the product. We value our craftsmen and want them to feel being valued, too. Everyone is encouraged to grow within the company, take responsibilities and change their expertise in time. Timeless design together with high quality work and materials makes shoes that can be worn for years to come. You and we can be proud to say, your next shoes are made to last.